Considering “Do-It-Yourself” Online Background Checks? Home > Blog > Employment Background Checks > Considering “Do-It-Yourself” Online Background Checks? As businesses become comfortable using the Internet to handle a variety of support functions, a surprising number and diverse sorts of “Do-It-Yourself” services have become available, including “Do-It-Yourself” (DIY) online background checks. On the other hand, third-party providers bear the responsibility to compile information in an accurate manner for their clients. 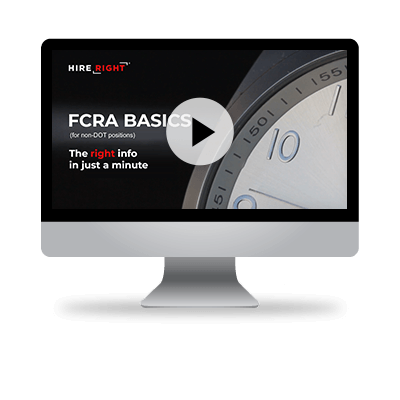 Rather than sacrificing company resources to ensure accuracy, it may be best to leave it to a consumer reporting agency who has a duty of accuracy under the FCRA. Third-party firms, specifically Consumer Reporting Agencies, on the other hand, are FCRA-compliant, and offer expertise and resources that can help ensure legitimacy and accuracy in their findings. For more information, please see HireRight’s free eBook on the subject: “Do-It-Yourself” Online Background Checks. Free eBook: Background Checks: Do It Yourself? Caution and through investigation before committing to a DIY online background check service would be prudent.